1) Mark Mann, a veteran in the trade show/event industry, has joined the International Premium Cigar & Pipe Retailers Association (IPCPR) as the new exhibit and sponsorship account manager. “We are thrilled to have a professional of Mark’s caliber joining the staff team that serves the premium cigar and pipe industry,” said IPCPR CEO Mark Pursell. “He brings a wealth of experience managing the trade show floor and providing exhibitors with world class service.” Mann replaces Jeff Moran, who is expected to retire in October. Mann already resides in Washington and will join the IPCPR staff as soon as the new headquarters is completed on Capitol Hill. 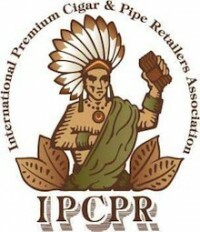 The IPCPR is currently based in Columbus, Georgia. 3) Inside the Industry: Many new releases that debuted at the show are now appearing at shops around the country. The much-anticipated Henry Clay Tattoo collaboration between Pete Johnson of Tatuaje and Altadis is due to arrive soon, as is the Tatuaje TAA 2015. Other recent arrivals include the Quesada Octoberfest, La Palina Red Label, and Padrón Damaso. 4) Deal of the Week: My Father fans should check out this deal from Cigar Place. Just $50 lands you six cigars—two each of the original My Father blend, My Father Le Bijou, and My Father Connecticut, all in a belicoso size—plus a lighter, cutter, and My Father ashtray in your choice of blue or red. For much less money you can purchase great smokes from Nicaragua, Dominican and Honduras.